In April of 2017, I was contacted by a producer at Wisconsin Public Television who was wondering if I’d allow some of my footage of the Wisconsin Dells to be used for a new project they were working on. At the time, I didn’t know what the project was, but of course I was happy was to offer it up. 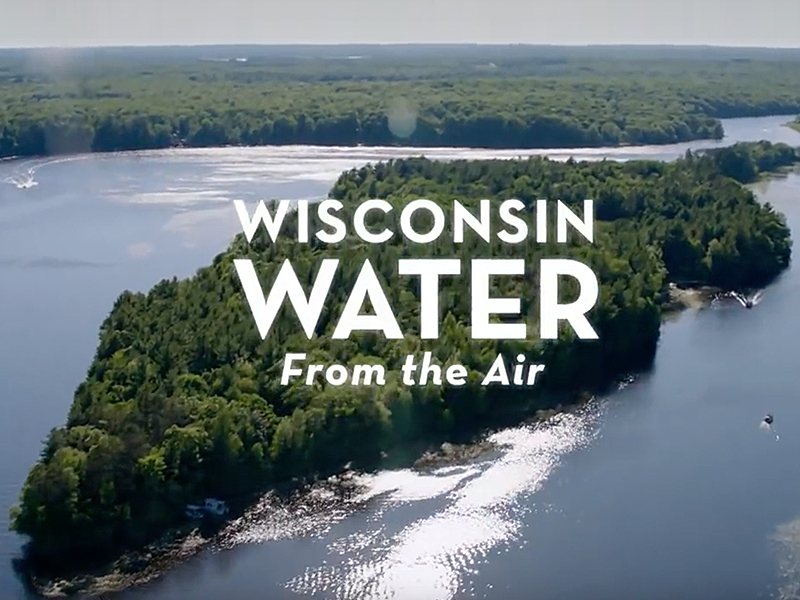 Then, just last month, she contacted me again to say that a few clips would be used in a short segment in their new documentary, Wisconsin Water From The Air, the third installment of their From The Air series, which was to premiere on November 26th. I was absolutely thrilled, not only because I completely forgot about the request, but also because I was a huge fan of Wisconsin From The Air (I even own the DVD). It’s some of the most beautiful footage you’ll find of Wisconsin. The footage I provided can be seen in the first section of the show which follows the Wisconsin River from its headwaters all the way to Prairie Du Chien. I attended a screening of it at the Monona Terrace on Sunday, and sure enough, you’ll see the yellow nose of my Wilderness right after the rollercoaster shot in the Wisconsin Dells segment. The clips featured were captured on the Upper Dells, as well as paddling through Sugar Bowl/Grotto Rock on the Lower Dells. It’s literally only a few seconds so I don’t want to talk it up too much, but it meant a lot to be included and that it was deemed worthy enough to be included in the show. So thank you to Wisconsin Public Television, especially Laurie, for making it happen! Be sure to check out the first airing Monday at 7:00, on Wisconsin Public Television. And consider donating to WPT to support projects like these. If you’re interested, the entire videos are below and are from a highly-recommended trip that features the best of the Upper and Lower Dells: Wisconsin River XIII: River Bay Road to Norway Drive.